The ‘90s were filled with some pretty memorable fashion that still works today (Doc Martens and babydoll dresses, anyone? 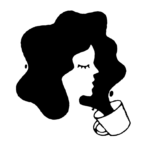 ), but nothing held a candle to the looks popularized by the women who ruled the hip-hop and R&B scene. Since many of the trends from that era are practically seen everywhere today, modern style mavens would kill for these looks. 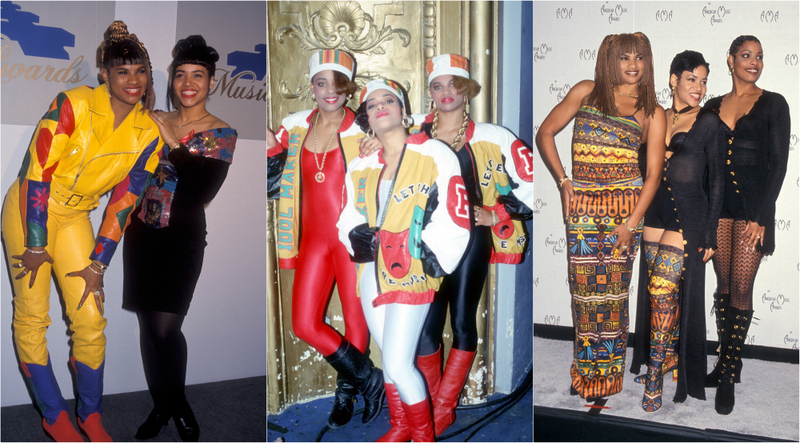 Take a look at these 10 stylish women of ‘90s hip-hop and R&B whose fashion sense still inspires! 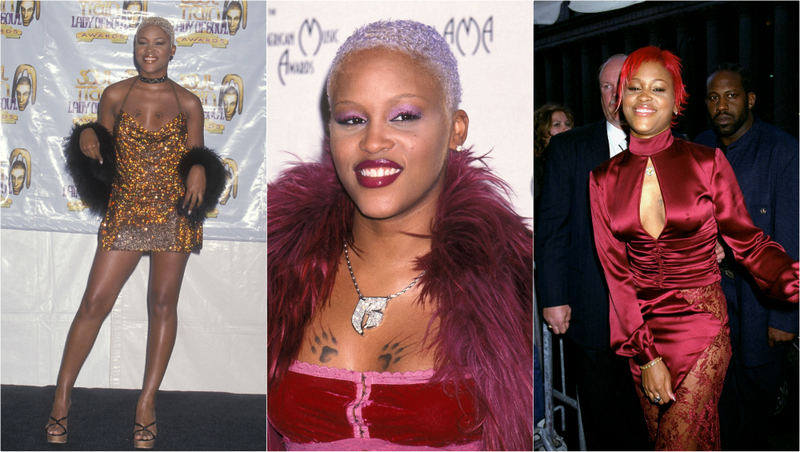 From colorful varsity jackets and gold chains to floor-length cardigans and thigh-highs, these goddesses of rap always had cutting edge style. 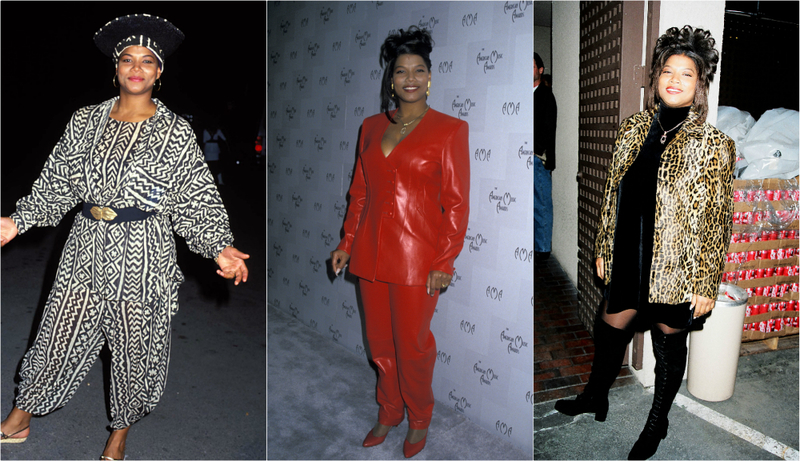 Queen Latifah’s style evolution included African-inspired garb and a full-on red leather pantsuit. Gold door-knocker earrings and dollar signs were some of the “Buffalo Stance” singer’s style signatures. 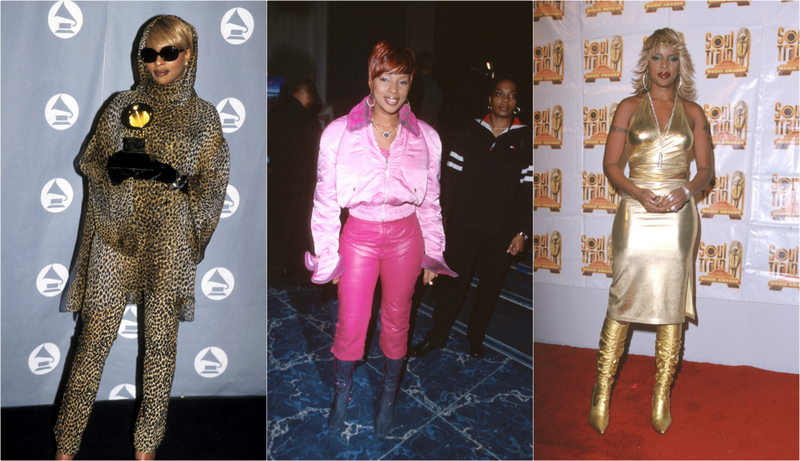 The “Queen of Hip-Hop Soul” was a fan of intense head-to-toe patterns and monochromatic hues. Nobody could pull off all-over leopard print quite like her. 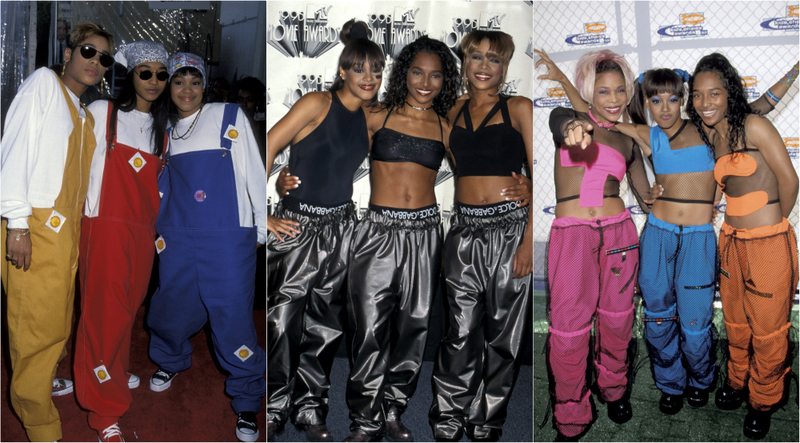 T-Boz, Left Eye and Chilli made oversized overalls and baggy metallic pants look really, really fun. 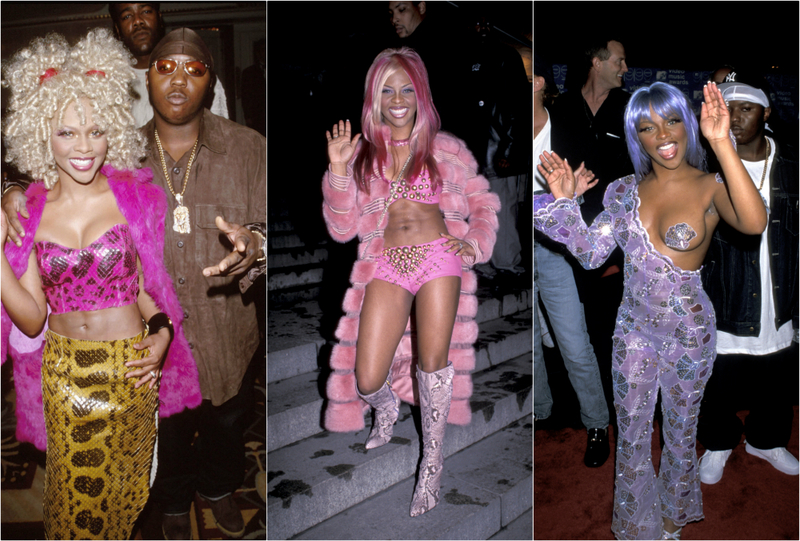 Lil’ Kim wrapped herself in candy-colored minks that would make Scream Queens’ Chanel Oberlin green with envy. These days, colorful faux furs worn by fashion queens are are less controversial—but you still have to appreciate Kim’s fearless sense of style. Kim sported mermaid hair decades before it became “a thing.” And can anyone else pull off a FACE CAGE like her? Foxy Brown was also a fan of wearing fur coats in every color of the rainbow. 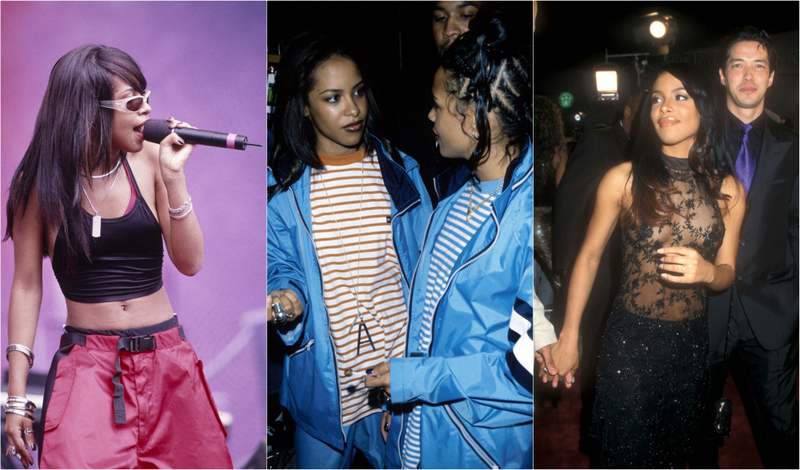 The athleisure trend—with its Calvin Klein sport bras and silk bombers favored by the likes of Kylie Jenner and Gigi Hadid—is no doubt inspired by the midriff-baring, tomboy-esque style originated by Aaliyah a.k.a. Baby Girl. 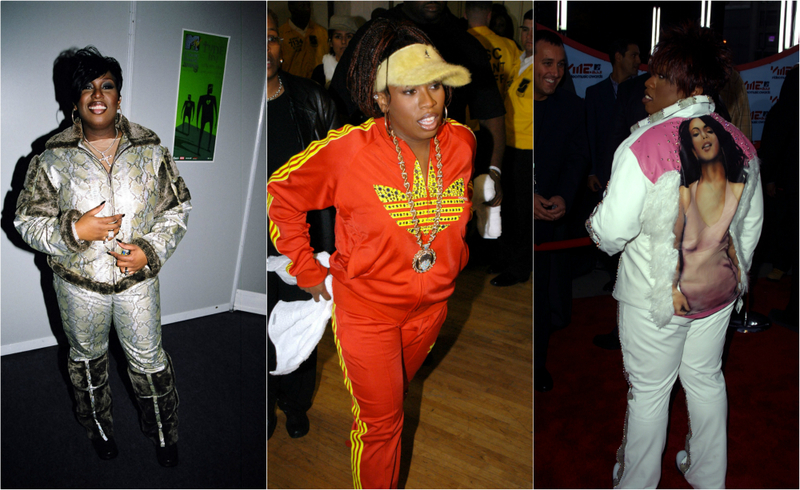 Along with Adidas jumpsuits in every color, Missy “Misdemeanor” Elliott had various outfits that paid tribute to her friend and frequent collaborator Aaliyah, who died in a plane crash in 2001.